Seriously though, if anything is confusing, or just giving you a hard time, Please feel free to get in touch with me and I’ll help in any way I can. 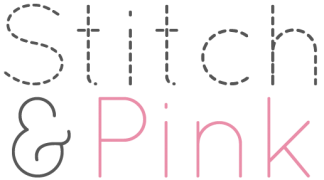 The fault could definitely be in my wording and not your sewing skills. ; ) So, here we go! 1. 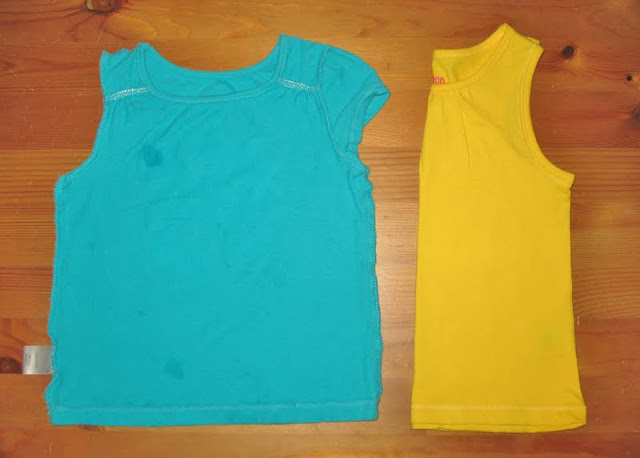 Take your shirt and fold it in half. 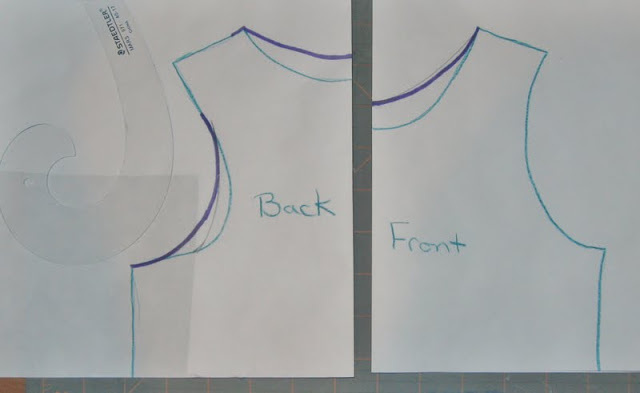 If you are using a t-shirt, tuck the sleeves to the inside. 2. Place the folded edge of your shirt onto the folded edge of your paper. Trace the edge of the shirt front. 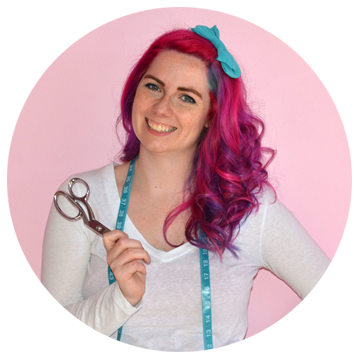 You only need about 3 inches below the armhole. 3. 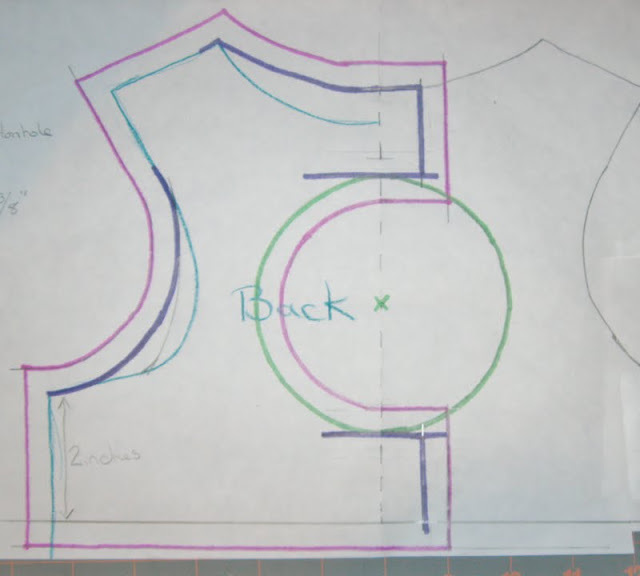 Repeat step 2 but trace the back of the shirt this time. 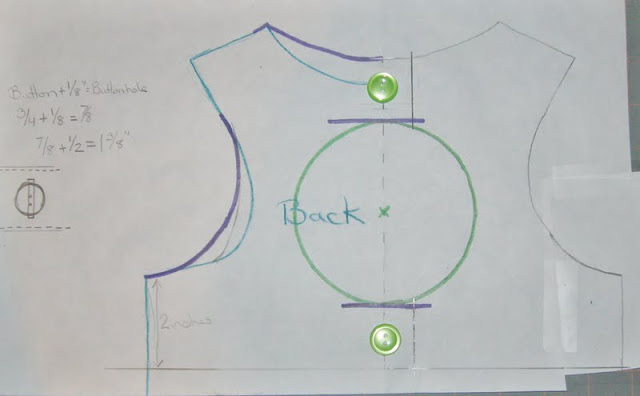 Necklines and armholes are different on the front and back parts of a shirt so be sure everything is smoothed out, and you are tracing the correct edge. 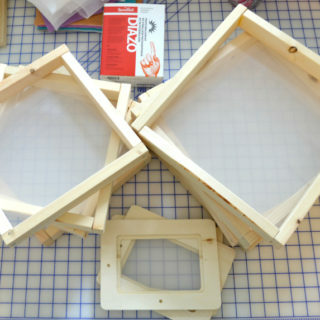 Now you should have 2 parts traced on a fold like this. Be sure to label them Front and Back so you don’t get mixed up. 4. 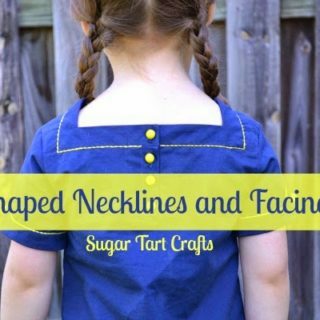 If you are making this for a small child (under age 3) you may want to raise the back neckline to give yourself more room to work with. This will let you maximize the size of your keyhole. 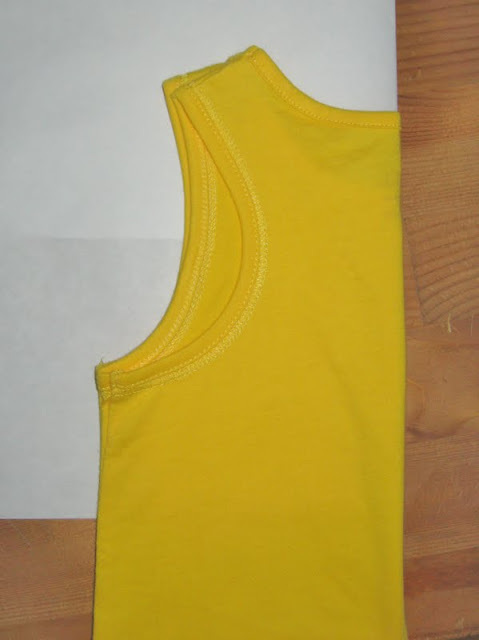 Because the tank top I used had a more racer back shape, I also raised the front neckline, and made the back armholes smaller. 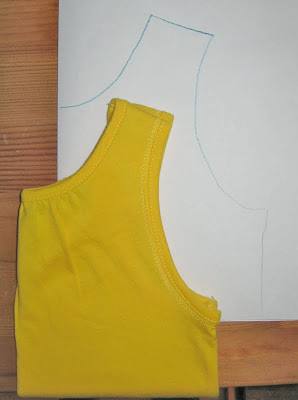 ***When adjusting armholes, note that the back armhole should be larger than the front. 7. 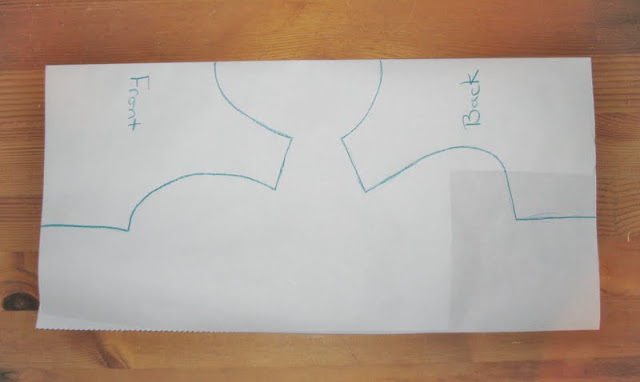 Unfold the Back pattern and draw a dashed line down the fold crease. 8. 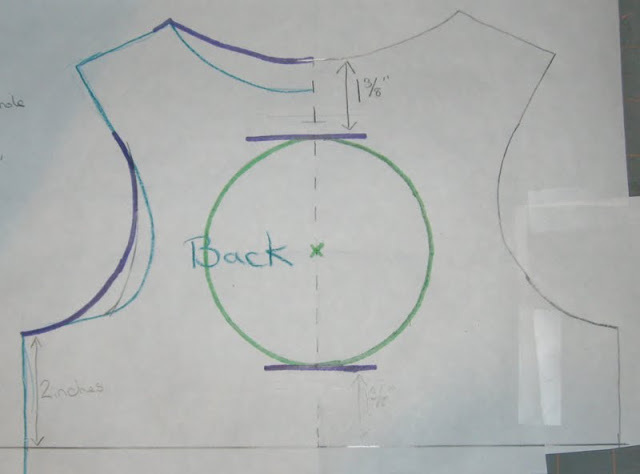 Whatever number you end up with, measure down from the neckline on your fold (dashed line) and mark. Then measure up the same amount from the bottom of the dash line and mark. 9. Draw your keyhole circle anywhere between those 2 marks. I folded them together an marked the center with the green X. Then I used a compass to make a circle that just touched each purple line. 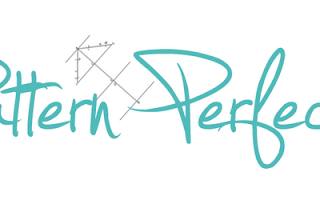 The point where the vertical mark and the “purple” mark meet must be a right angle. 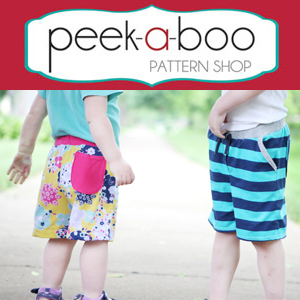 If they aren’t, the keyhole will be distorted when the 2 pieces of fabric overlap for the buttons/buttonholes. 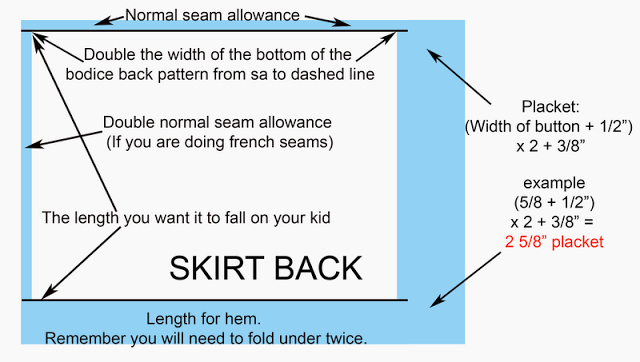 Your seam allowance on your pattern should be the same as the seam allowance on your piping. 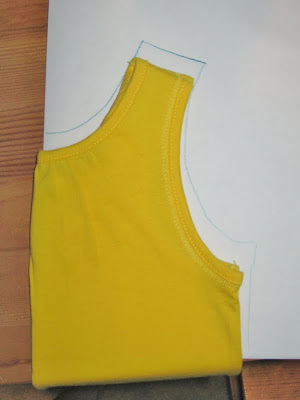 and the shoulder seams are the same length before cutting out the pieces. 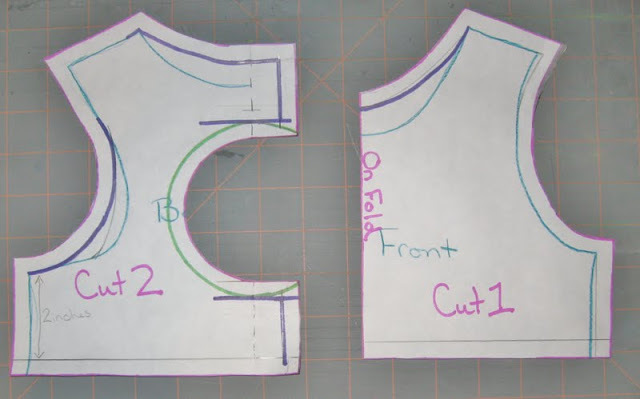 You will need to cut out 2 back pieces for every 1 front piece you cut. 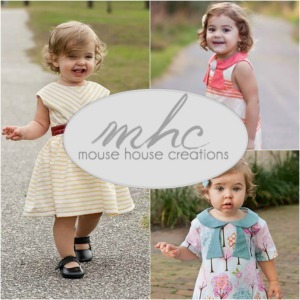 I’m going to try to make a printable PDF (size 2T only) that would make your life a whole lot easier, but to be honest, I need a break. 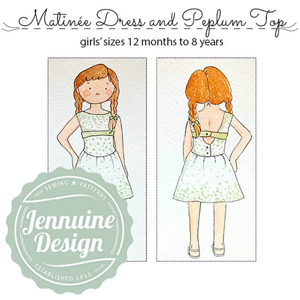 I don’t know how to make PDF’s yet, and I’ve been staring at this same dress for weeks now. Maybe if I get a week away from it, things will look clearer and I’ll be able to focus on the pattern. But for those of you who haven’t already been scared off, this is everything you should need to know. Like I said though, if anything just doesn’t make sense, give me a holler & I’ll try to help. P.S. Sorry for all of you that use the metric system, but I’m not sure if I’m smart enough to make those conversions. Hopefully you are. 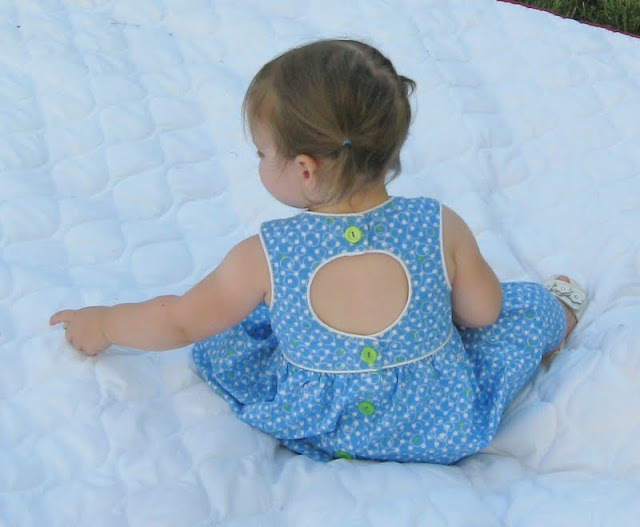 Following so I can find this if I have a little girl one day! Found you from We Did It! 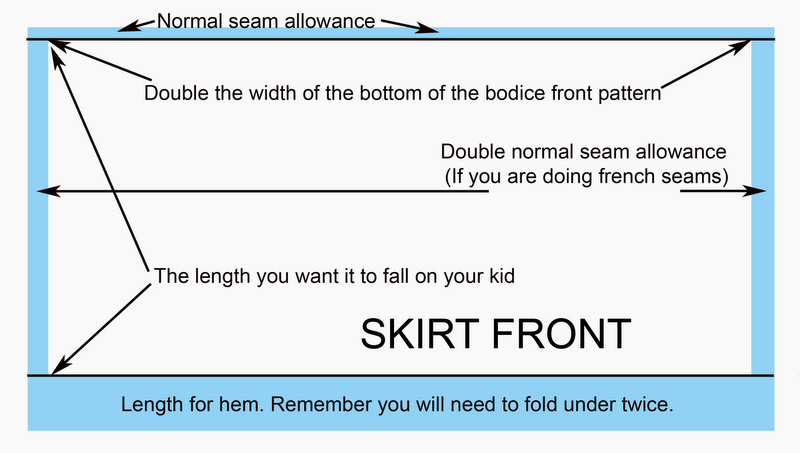 Wed.
Just wondering if you ever made that PDF pattern. 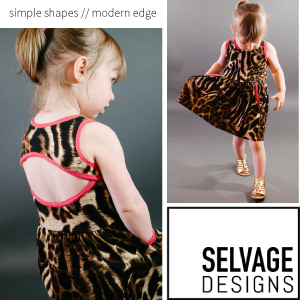 I would love to make this dress, but don't think I'm up for pattern making. Thanks!